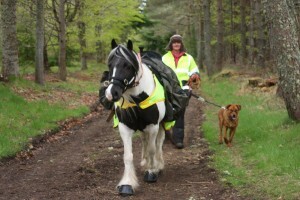 On 23rd May Leanne and Candy and Foxy the dog will be setting off on their intrepid adventure. They are walking from Spey Bay to Edinburgh, mainly along old drove and military roads and wild camping along the way. If you live near the route and could pop along to cheer them on and perhaps take them a wee cup of tea or a slice of cake (and a carrot) they would be delighted to see you! Details of their progress will be updated on their Facebook page and website. Donations can be made HERE. Go Team Candyfox!